These sites below are ones which I feel you should definitely check out, or which I have some link to in some way or another. Yesasia: One of the better places to buy your Asian dvds. Sells HK, Korean and Japanese releases. Guaranteed no VAT/Customs charges on delivery to the UK regardless of order size and free delivery for orders over US$49! 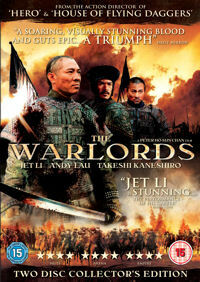 Ethaicd.com: A excellent Thai retailer selling Thai, Japanese, Korean, Chinese and Western films. All are Thai releases. Amazon.co.uk: Excellent UK site, selling pretty much everything you can think of... DVDs, CDs, software, electronics, books etc..
Asian DVD Guide Forums: An excellent online fourm for info and discussing Asian dvds. 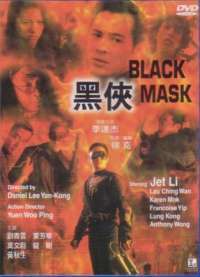 Asian DVD Guide Database: A database for info on Asian dvds. Bullets N Babes DVDs: My personal favourite news, info and forum site for Asian DVDs. Also has plenty of discussion on non-asian, non dvd things. Epinions: Reviews of pretty much everything and anything. My reviews on here are also submitted to epinions, where you can earn royalties! My user name there is degeneration. Hong Kong Movie Database: For Hong Kong movies this is the "if you want to know something, it is here" site. Movie Review Index: A brilliant database site listing loads of films and providing links to many reviews of these films. If you want a review for a film, chances are it'll be on this site. DVD Basen: Another excellent database site indexing reviews for films of all regions from many sites across the internet. Asian Movie Pulse : A news, DVD and film review site, with many articles and interviews encompassing the wide variety of Asian cinema. Dark Dragon Style contributes some reviews to this fast growing site. Asia On DVD : A DVD and film review site from the Bullets N Babes forum user thelostdragon. So Good Reviews: A DVD and film review site from the Bullets N Babes forum user Knetan. M-Dream : A website dedicated to Asian entertainment from the Bullets N Babes forum user mdreamUK. MonkeyPeaches: A great news site which will keep you up to date with all the bigger Asian film productions currently underway! www.swoj.com: My brother's homepage. Lots of humourous downloads: stickman fighting, a Zhang Ziyi martial arts Visa commercial & plenty of other humourous things. 3 online games with an online highscore table: Tetris, Snake and 404 Roulette. Dragon Style Desktop Theme: A desktop theme which I found by chance. As it shares a similar name to this site, I gave it a link! The theme's been made for Win XP. Mozilla Firefox: A web browser that is so much better than Internet Explorer, it is unbelievable. Ditch IE, use Firefox, join the revolution! Third Window Films: The home page for the UK based film distributor Third Window Films. Universe Laser & Video Co.: The home page for the Hong Kong based film distributor Universe Laser & Video Co.
Mei Ah: The home page for the Hong Kong based Mei Ah.